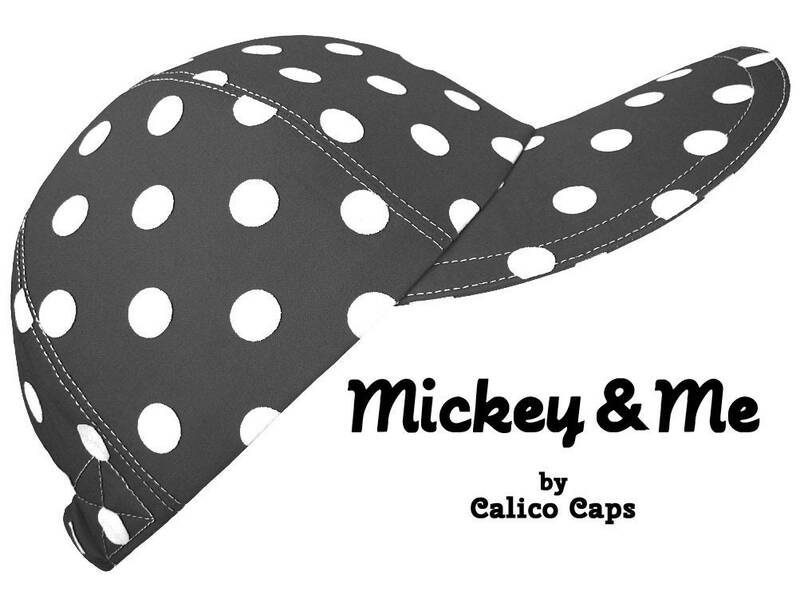 The companion to the "Minnie & Me" cap .... this baseball cap is called "Mickey & Me".... Big white polka dots on a dark black background. 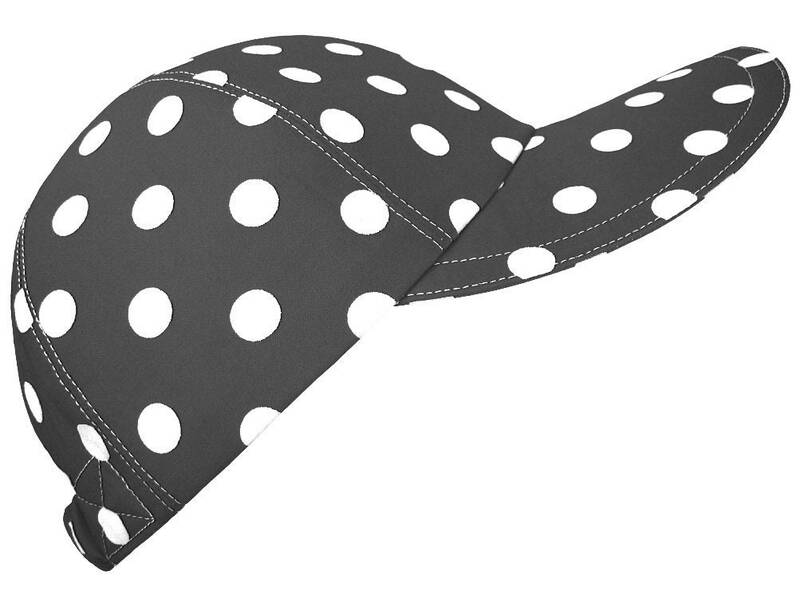 The black & white version of the outfit Minnie Mouse wears, or just a really cool B&W cotton polka dot cap to mix and match with many outfits. I could call it "Buddy & Me" for Buddy Guy fans ;) White top-stitching with black grosgrain band on the pretty, white-on-white floral print cotton lining. 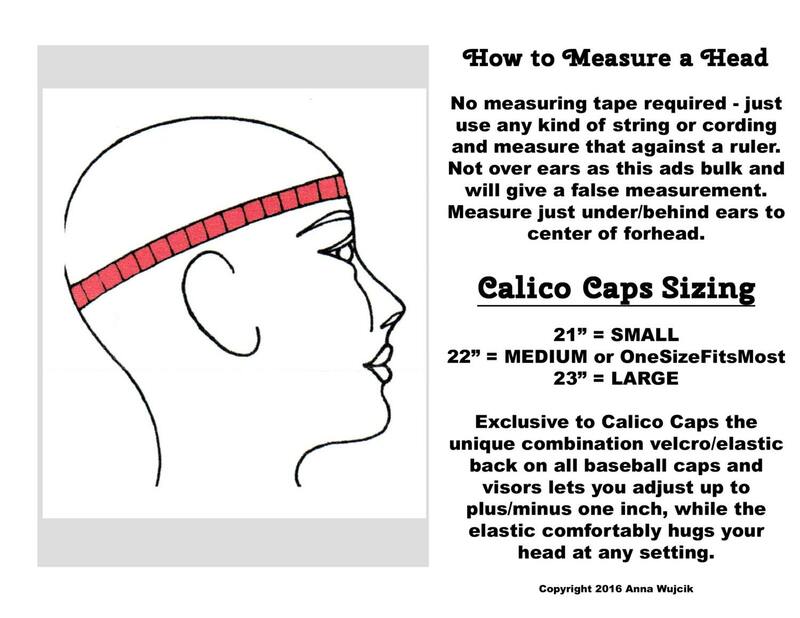 I brightened it up with a red Calico Caps® branded Ultrasuede label on the back closure of this cap.